Indo-Asian News Service or IANS is a private Indian news agency. The IANS was founded by Indian American publisher Gopal Raju as the India Abroad News Service. It was later renamed the Indo-Asian News Service. The IANS has its main offices located in Noida. Gopal Raju was an Indian-born American publisher, editor, journalist, businessman and philanthropist. He was considered to be a pioneer of Indian American ethnic media in the United States. Noida, short for the New Okhla Industrial Development Authority, is a planned city under the management of the New Okhla Industrial Development Authority. It is a satellite city of Delhi and is part of the National Capital Region of India. As per provisional reports of Census of India, the population of Noida in 2011 was 642,381. Noida is located in Gautam Buddh Nagar district of Uttar Pradesh state in close proximity to NCT of Delhi. The district's administrative headquarters are in the nearby town of Greater Noida. However, the district's highest government official, the District Magistrate (DM), has its official camp office in Sector 27, Noida. IANS reports about India with news, views and analyses about the country across a wide range of subjects. News, features and views from the subcontinent reach subscribers via the Internet. Since the partition of British India in 1947 and creation of modern states of India and Pakistan, the two countries have been involved in a number of wars, conflicts and military stand-offs. The Kashmir issue has been the main cause of all major conflicts between the two countries with the exception of the Indo-Pakistani War of 1971 where conflict originated due to turmoil in erstwhile East Pakistan. 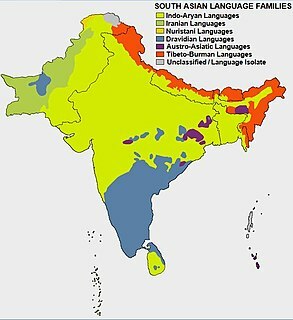 Languages spoken in India belong to several language families, the major ones being the Indo-Aryan languages spoken by 78.05% of Indians and the Dravidian languages spoken by 19.64% of Indians. Languages spoken by the remaining 2.31% of the population belong to the Austroasiatic, Sino-Tibetan, Tai-Kadai and a few other minor language families and isolates. 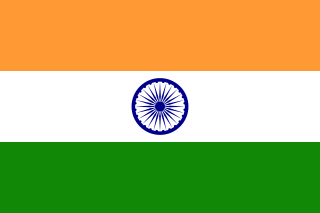 India (780) has the world's second highest number of languages, after Papua New Guinea (839). Koenraad Elst is a Belgian orientalist and Indologist known for his writings on comparative religion, Hindu-Muslim relations and Indian history. He has contributed columns of numerous Indian and Flemish newspapers, and published in Dutch about philosophy, politics and religion. He is also known for his support of the Out of India theory which argues against the mainstream academic view that the Indo-European languages originated in the Kurgan culture of the Central Asian steppes. Elst, who has a doctorate on the subject of Hindu nationalism, is sympathetic to Hindutva, a Hindu nationalist movement. The Indo-Pacific, sometimes known as the Indo-West Pacific or Indo-Pacific Asia, is a biogeographic region of Earth's seas, comprising the tropical waters of the Indian Ocean, the western and central Pacific Ocean, and the seas connecting the two in the general area of Indonesia. It does not include the temperate and polar regions of the Indian and Pacific oceans, nor the Tropical Eastern Pacific, along the Pacific coast of the Americas, which is also a distinct marine realm. India–Iran relations refers to the bilateral relations between the countries India and Iran. Independent India and Iran established diplomatic relations on 15 March 1950. During much of the Cold War period, relations between the Republic of India and the erstwhile Imperial State of Iran suffered due to their different political interests—non-aligned India fostered strong military links with the Soviet Union, while Iran enjoyed close ties with the United States. Following the 1979 revolution, relations between Iran and India strengthened momentarily. However, Iran's continued support for Pakistan and India's close relations with Iraq during the Iran–Iraq War impeded further development of Indo–Iranian ties. In the 1990s, India and Iran supported the Northern Alliance in Afghanistan against the Taliban regime. They continue to collaborate in supporting the broad-based anti-Taliban government led by Ashraf Ghani and backed by the United States. The two countries signed a defence cooperation agreement in December 2002. South Asian ethnic groups are ethno-linguistic composition of the population of South Asia, that is the nations of India, Afghanistan, Pakistan, Bangladesh, Nepal, Bhutan, Maldives and Sri Lanka is highly diverse. The majority of the population fall within two large linguistic groups, Indo-Aryan and Dravidian. Indian society is traditionally divided into castes or clans, not ethnicities, and these categories have had no official status since independence in 1947, except for the scheduled castes and tribes which remain registered for the purpose of affirmative action. In today's India, the population is categorized in terms of the 1,652 mother tongues spoken. Relations between India and Pakistan have been complex and largely hostile due to a number of historical and political events. Relations between the two states have been defined by the violent partition of British India in 1947, the Kashmir conflict and the numerous military conflicts fought between the two nations. Consequently, their relationship has been plagued by hostility and suspicion. Northern India and Pakistan somewhat overlap in areas of certain demographics, shared lingua francas and shared cuisines inherited from the Mughal Empire. The Indigenous Aryans theory, also known as the Out of India theory (OIT), proposes that the Indo-European languages, or at least the Indo-Aryan languages, originated within the Indian subcontinent, as an alternative to the established migration model which proposes the Pontic steppe as the area of origin of the Indo-European languages. The indigenist view sees the Indo-Aryan languages as having a deep history in the Indian subcontinent, and being the carriers of the Indus Valley Civilization. This view proposes an older date than is generally accepted for the Vedic period, which is generally considered to follow the decline of Harappan culture. Naresh Chandra was a 1956 batch IAS officer of Rajasthan cadre, who served as the Cabinet Secretary of India, Defence Secretary of India, Home Secretary of India, Water Resources Secretary of India and Indian Ambassador to the United States. He was awarded India's second highest civilian honour, the Padma Vibhushan, for civil service, in 2007. Indo-Russian relations refer to the bilateral relations between India and Russia. During the Cold War, India and the Soviet Union (USSR) had a strong strategic, military, economic and diplomatic relationship. After the collapse of the USSR, Russia inherited its close relationship with India. This resulted in India and Russia sharing a Special Relationship. Indo-Canadians or Indian Canadians are Canadian citizens whose heritage belongs to any of the many ethnic groups of Republic of India. The term East Indian is sometimes used to distinguish people of ancestral origin from India in order to avoid confusion with the First Nations of Canada. Statistics Canada specifically uses the term Asian Indian to refer to people who trace their origins from the modern day Republic of India. Sumon K Chakrabarti was the Chief National Correspondent of India’s largest English news network, CNN-IBN, of which he is also a founder employee. Now he is working on a book on South Asia. Giuliano Modarelli is a guitarist from Italy. Austria–India relations refers to the bilateral ties between Austria and India. Indo-Austrian relations were established in May 1949 by the first Prime Minister of India Jawaharlal Nehru and the Chancellor of Austria Leopold Figl. Historically, Indo-Austrian ties have been particularly strong and India intervened in June 1953 in Austria's favour while negotiations were going on with Soviet Union about the Austrian State Treaty. There is an Indian embassy in Vienna, Austria's capital, which is concurrently accredited to the United Nations offices in the city. Austria is represented in India by its embassy and Trade commission in New Delhi, India's capital, as well as Honorary Consulates in Mumbai, Kolkata, Chennai and Goa. Surbhi Jyoti is an Indian television actress known for her role in the show Qubool Hai. Currently, she plays the role of Roohi/ Bela in Naagin 3. Patralekha Mishra Paul is an Indian film actress.Her father, a chartered accountant, wanted her to follow in his footsteps, but she was interested in acting. She made her debut with director Hansal Mehta's Hindi film CityLights, alongside Rajkummar Rao. South Asian Canadians in Metro Vancouver form the third-largest ethnic group in the region, comprising 291,005 or 12% of the total population. Sizable South Asian communities exist within the city of Vancouver along with the adjoining city of Surrey, which houses one of the world's largest South Asian enclaves. The South Asia Satellite, also known as GSAT-9, is a geostationary communications and meteorology satellite operated by the Indian Space Research Organisation (ISRO) for the South Asian Association for Regional Cooperation (SAARC) region. The satellite was launched on the 5th May, 2017. During the 18th SAARC summit held in Nepal in 2014, Indian Prime Minister Narendra Modi mooted the idea of a satellite serving the needs of SAARC member nations as a part of his Neighbourhood first policy. Afghanistan, Bangladesh, Bhutan, Maldives, Nepal and Sri Lanka are the users of the multi-dimensional facilities provided by the satellite.